Cardinal and Lucette Alice Senesac, master of Science in Education. 100: Avonelle Strawn Tierney, master of science in library science. 27: Cardinal and Barbara Joan Cooney, B.A. degree. 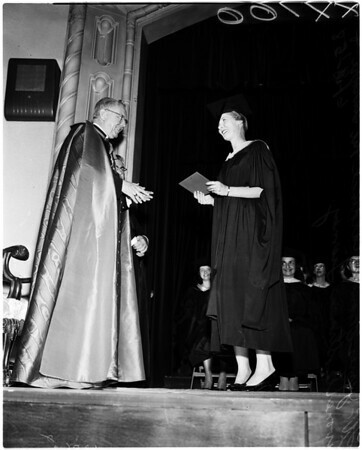 28: Cardinal and Patricia Margaret Ellard, B.A. degree".